APPROX. 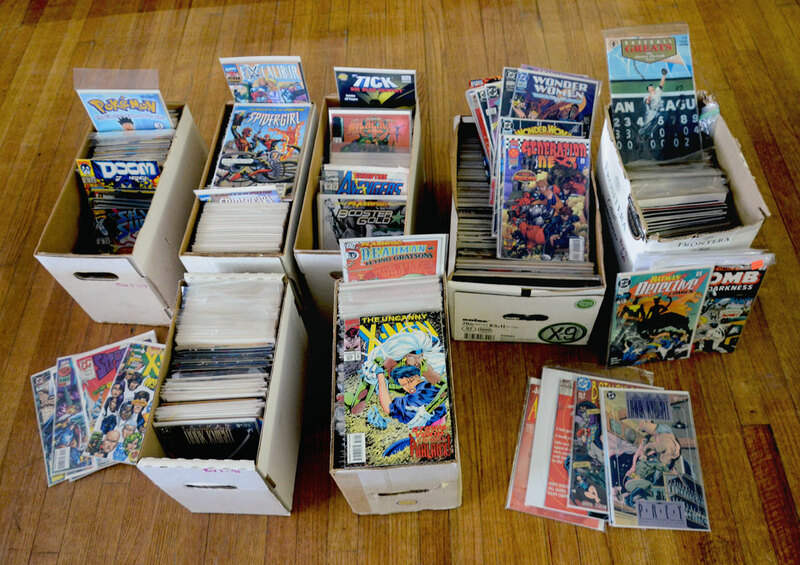 900 MODERN AGE COMIC BOOKS: An assembled collection of approx. 900 assorted comics. Incomplete runs to include Punisher, G.I. Joe, SuperGirl, W.I.L.D.C.AT.S., The Tick, Mutant X, Excalibur, Spider-Girl, and many singles.